The Marion County Sheriff’s Office responded to a single family residence in the 500-Blk of Bradley Street in Tracy at approximately 3:30 a.m Thursday to investigate a home invasion and burglary. The female homeowner reported a male subject entered the residence and was in a confrontation with her husband. The male homeowner was transported to Pella Regional Health Center by Clay Township Fire and Rescue and the suspect was transported to Knoxville Hospital and Clinics by law enforcement. Both were treated for non-life threatening injuries and released. 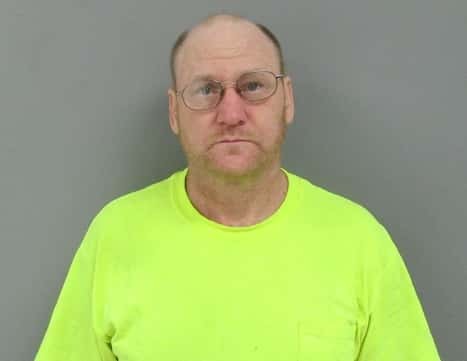 A search warrant at the suspect’s residence was administered, which resulted in Randy Earl Jones, 49, being charged with 1st Degree Burglary, 1st Degree Robbery, Possession of a Firearm as a Felon, Possession of Drug Paraphernalia and Theft in the 4th degree. The investigation is ongoing by the Marion County Sheriff’s Office.